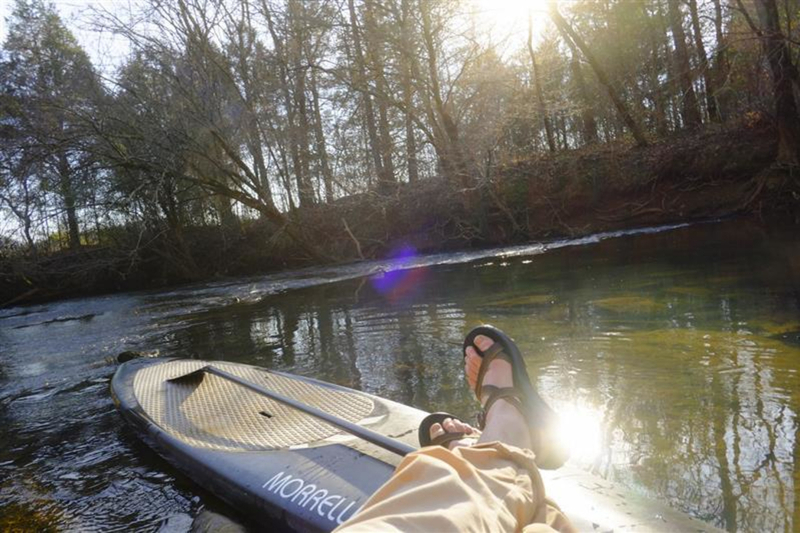 Lookout Creek is a natural gem right in Chattanooga's backyard. Best from Spring to Fall. 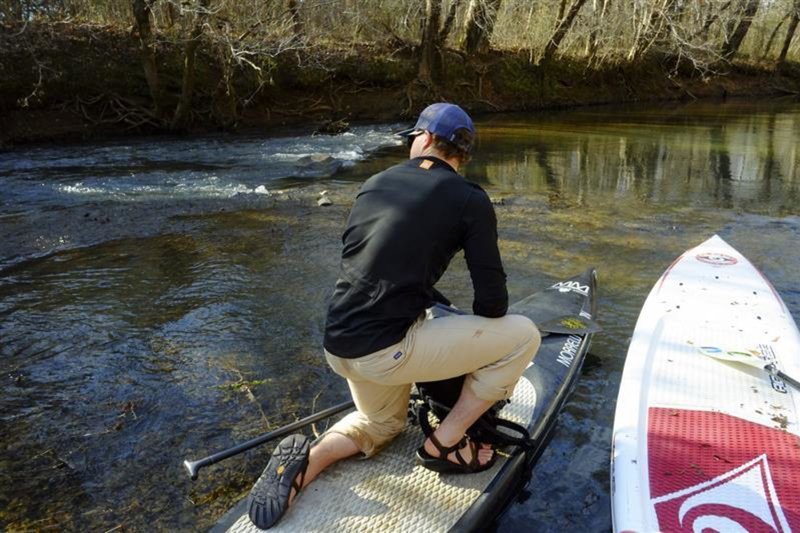 There are many quality flat-water paddling opportunities around Chattanooga, but few can match Lookout Creek for ease of access, scenery, and wildlife - all less than five minutes from the Interstate where thousands rush past, never knowing what they've just missed. Launch either at the Reflection Riding Arboretum & Nature Center off Garden Road or a mile downstream from underneath the Cummings Highway Bridge (U.S. 64) near the base of the mountain. 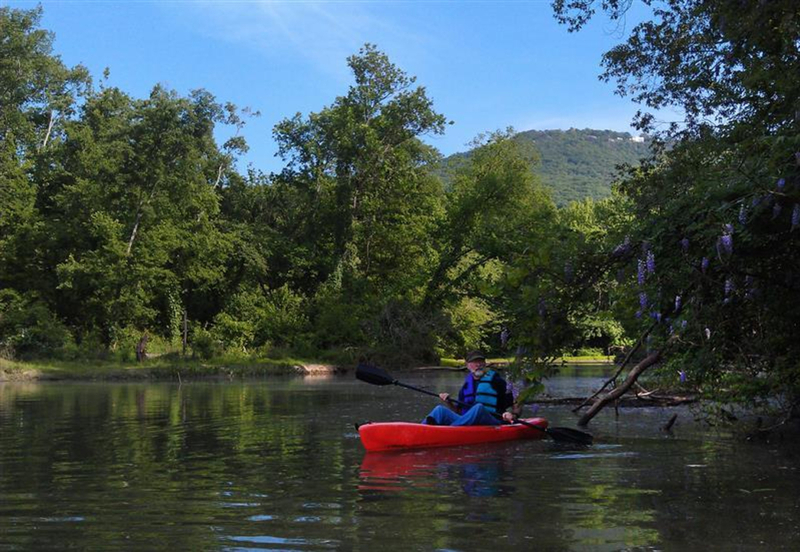 From either location, you have two excellent (if obvious) choices: upstream or down.Upstream you'll paddle against a mild current past the Paddler's Perch at the Nature Center dock (a designated overnight stop on the Tennessee River Blueway) and shortly thereafter encounter a muddy canal coming in from the right that disappears into a huge overpass beneath the railroad. The tunnel is just long enough that it's gloomy inside but it is spacious and makes for an interesting side trip. Back in the main creek you'll soon be passing the grounds of Reflection Riding on your left, paddling alongside the picturesque gravel roads popular with walkers and runners, with view of Sunset Rock above. Turtles and fish are common. As you continue upstream the chances of encountering a log-jam from fallen trees increases, as does the current. 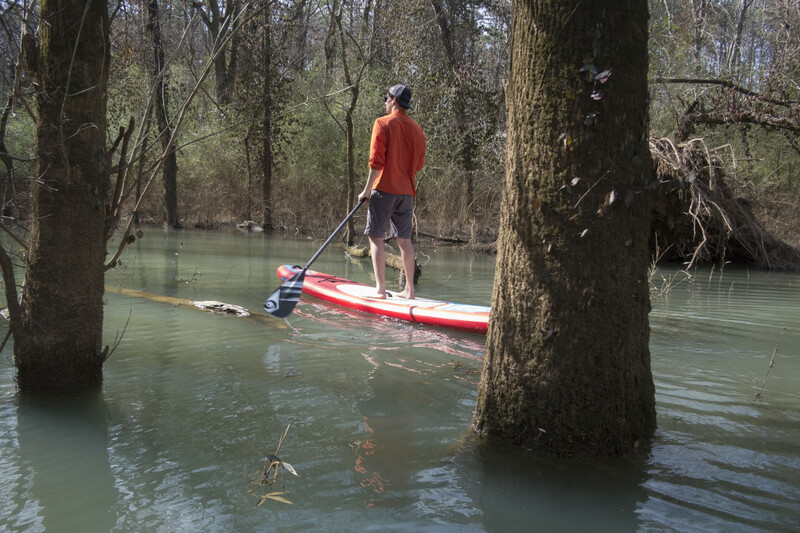 With the right water levels the creek can be paddled all the way down to this point from Rising Fawn, Georgia (around 40 miles) but this is rarely done due to blockages and distance.Downstream from launch the creek has a lazier feel. If Lookout Creek has been snuggling up to the mountain upstream, here she stretches out and gets comfortable, expanding into occasional shallow ponds in the area called Cummings Bottom. With the Cummings Highway bridge barely out of sight behind you, you'll see a channel come in from the left; take it, and explore as you keep an eye open for herons, kingfishers, and birds of prey. A smaller but similar pond is a quarter mile downstream on the left. 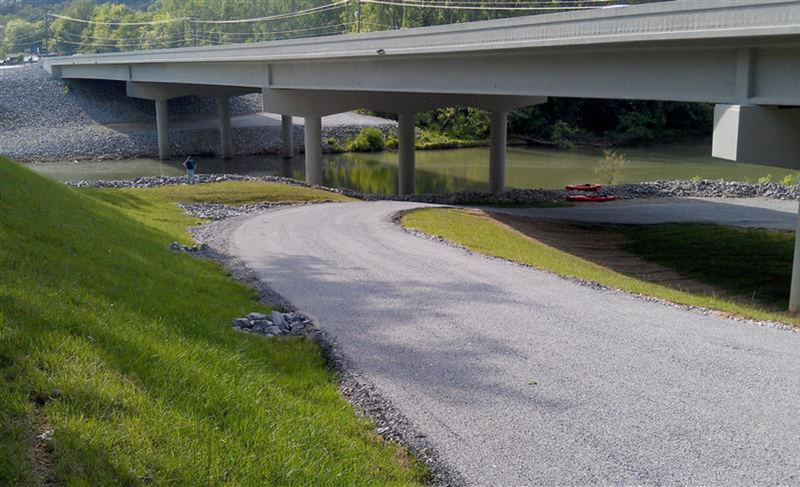 A bit over a mile from the bridge, you'll cross under Interstate 24 and hit the mighty Tennessee. 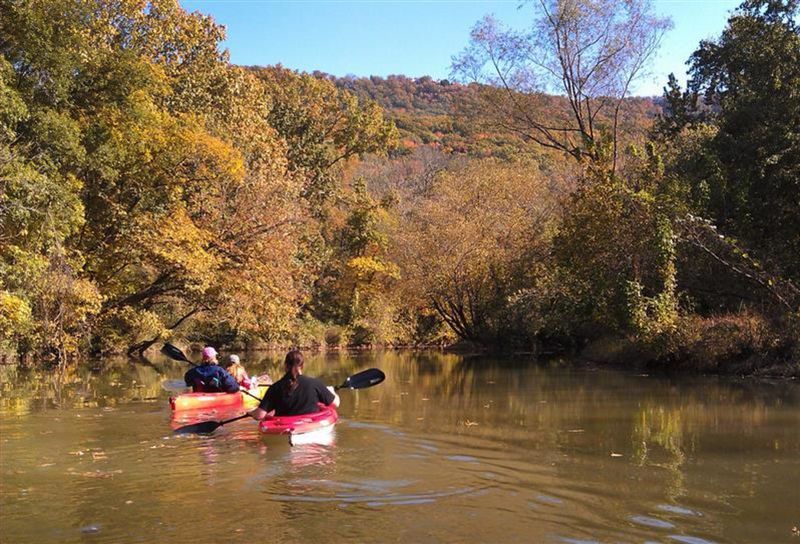 Paddle out for a view of Lookout Mountain, but be wary of boat traffic, waves, and the river's current. 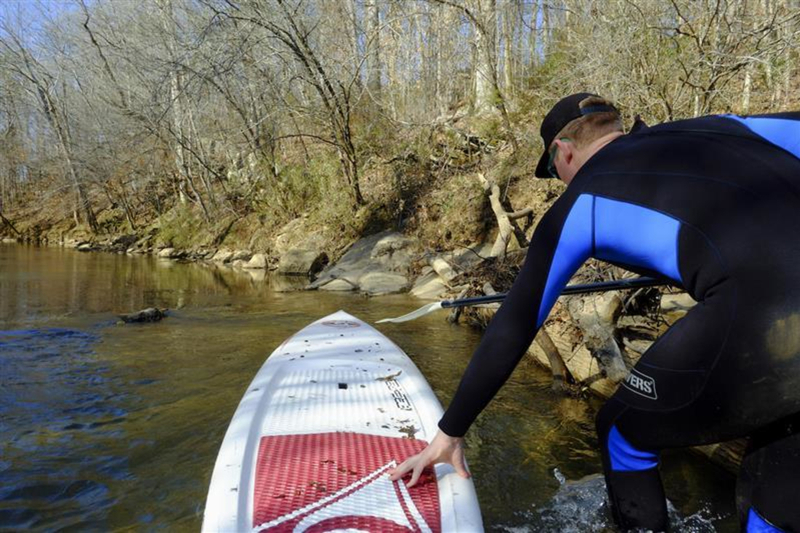 Paddlers of almost any ability can navigate Lookout Creek. 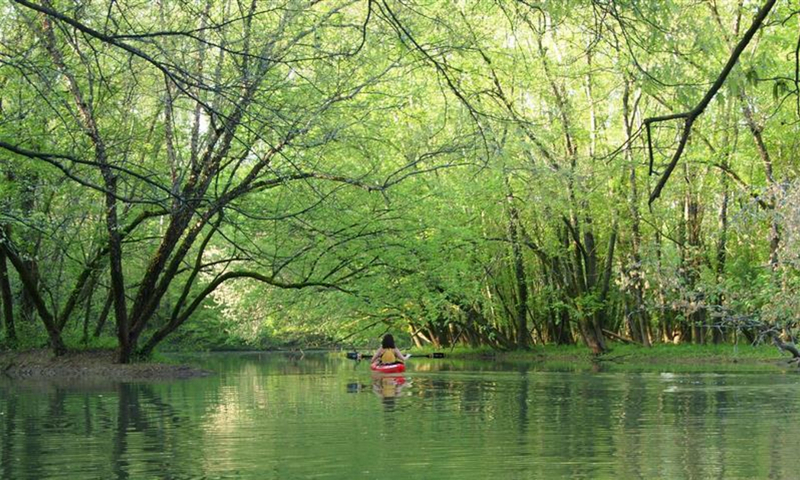 It's a safe place to paddle close to town, devoid of any high speed boat traffic, intensely natural yet close to the city. Launching from Reflection Riding is a good choice, especially if you are renting a canoe (although if you're not renting it's a bit of a carry to the dock). 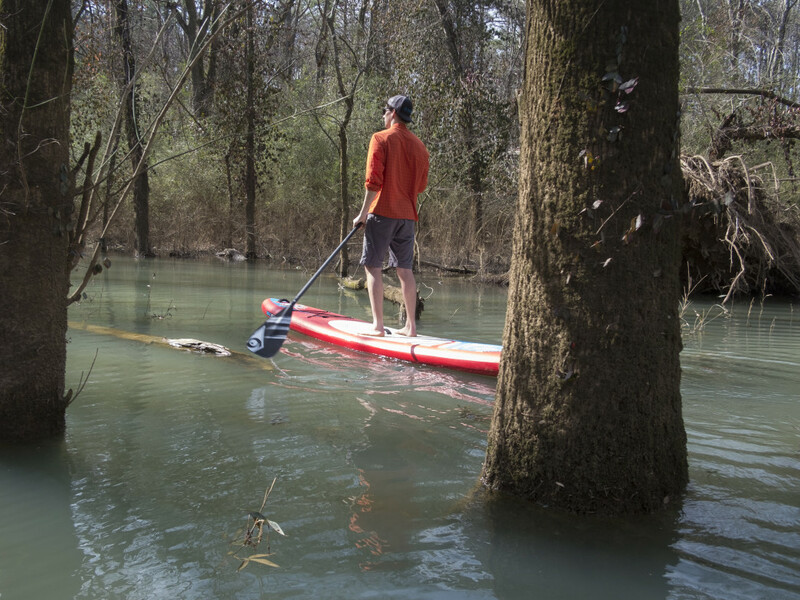 However, unless you are a member there is a fee to enter (currently $10/adult) and the Nature Center may not be open when you want to paddle. Fortunately, there is a free launch downstream underneath the Cummings Highway bridge (Highway 64).